Seamless steel pipe is manufactured by the round steel billet, through hot rolling, cold rolling or cold drawn processes, no seam on the pipe body. 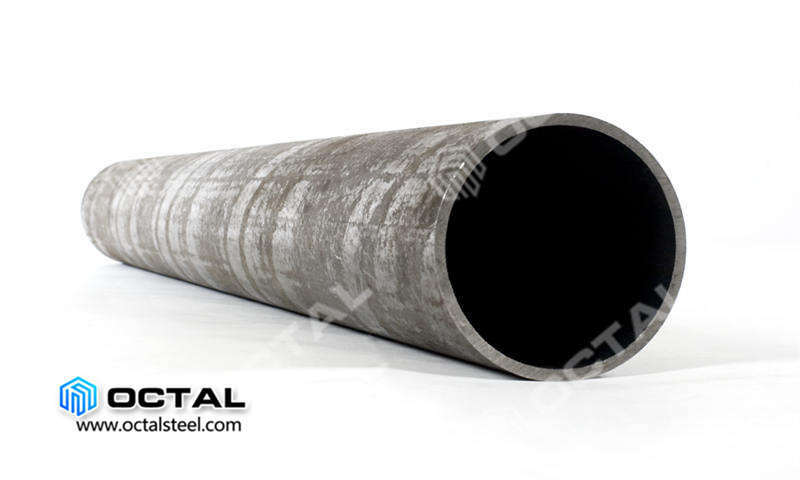 Welded steel pipe is manufactured by flat steel plate, with welding seam on the pipe body. Including ERW pipe, LSAW pipe, SSAW pipe. 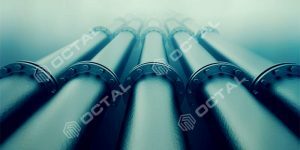 Octal tells you the differences between seamless pipe and welded pipe on raw material, manufacturing processes, performances, appearances, sizes, applications, cost prices etc. How is Seamless steel pipe made. 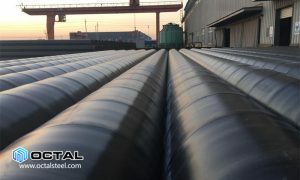 API 5L and ASTM Seamless steel pipe adopts steel ingot or solid tube as raw material through the perforated tube, then can be formed by hot rolled, cold rolled or cold drawn. Hot rolled seamless steel pipe is formed by billet forging, perforation, rolling, shaping and other processes. 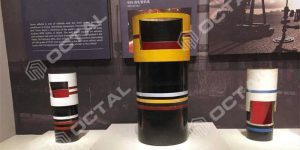 For Large diameter pipe, and thick walled seamless pipe usually made in this way. 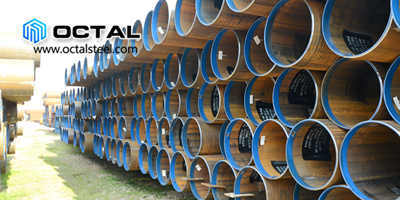 Cold drawn seamless pipe used cold-drawn forming technology. The material strength is relatively low, the appearance and internal control surface is smooth. Small diameter and thin wall seamless pipe usually made in this way. 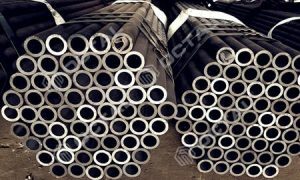 The seamless steel pipes are rolled by carbon structural steel, low alloy structure steel or alloy structure steel and stainless steel. Seamless steel pipes applied in different industries: Line pipe for pipelines, thermal services, mechanical industries, chemicals etc. 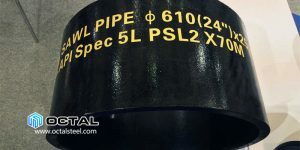 API 5L or ASTM welded steel pipe includes LSAW pipe, SSAW pipe, and ERW steel pipe. 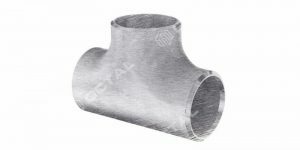 These pipes are made with steel strip or steel plate. The manufacturing processes first bending the steel plate, then welded into circular, square and other shapes. Welded steel pipe has the characteristics of high production efficiency, low cost and saving material. It has been widely applied to aviation, aerospace, energy, electronics, automobile, light industry and other industries. With strong corrosion resistance in the acidic environment. 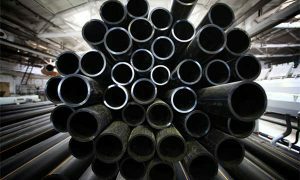 Why Should You Prefer To Buy Seamless Steel Pipes? The reason why most of the people prefer seamless steel pipe over welded steel pipe is that seamless pipes can withstand extremely high pressure without cracking. But the seam or welded pipes cannot do the same as the welded points are vulnerable to cracking up under high pressure. Furthermore, it is very easy to accurately calculate the pressure of seamless pipes. Seamless pipes are also thinner and lighter than welded ones, and they also have uniformity of shape as they are made up of uniform extrusion of an alloy. 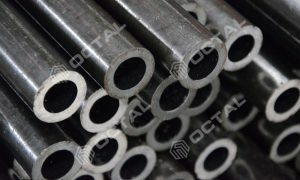 If you are looking to buy the best quality of seamless steel pipes, you should use Octal Steel API 5L and ASTM seamless steel pipes. 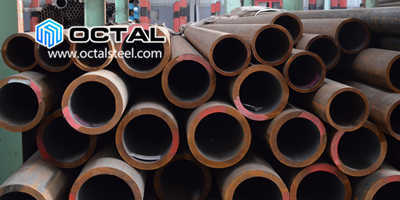 Seamless steel pipe used steel billet as raw material. 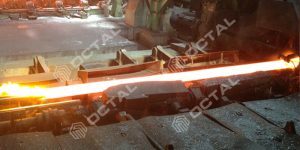 The outer surface defects of billet cannot be eliminated by hot rolling process, it is only polished after the product finished. In the process of wall reduction, the defect can only get partially eliminated. 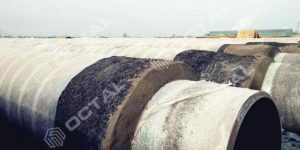 Welded steel pipe made by hot rolled coil as raw material, the surface quality of coil is just the pipe’s surface quality, and easy to control.The surface of hot rolled coil have high quality. 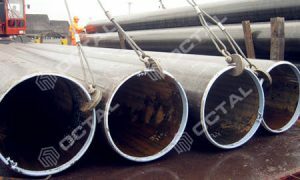 So Welded steel pipe surface quality is much better than seamless steel pipe. 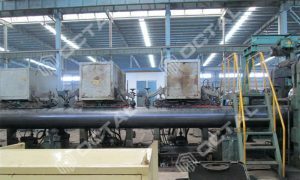 Seamless steel pipe can be formed one time in the rolling process. Welded steel pipe is manufacturing with steel strip or steel plate, through bending and different welding processes. Seamless steel pipe has better pressure capacity, strength is higher than ERW welded steel pipe. So it is widely applied in high pressure equipment, and thermal, boiler industries. Generally the welding seam of the welded steel pipe is the weak point, the quality affect overall performance. In general, welded steel pipes can withhold 20% less working pressure than seamless ones. This reliability is the prime factor why people go for seamless steel pipe. 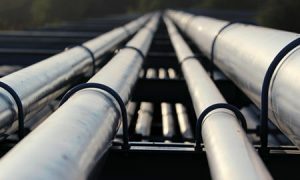 As a matter of fact, all the industrial pipelines are done with seamless pipes only because the pipes undergo extreme thermal, chemical and mechanical workloads. Welded pipes are more preferred in aerospace, automobile and electronics industries where the budget is comparatively low, and so is the work pressure put on the pipes. For most of seamless steel pipe manufacturers in China, they produce original seamless pipe sizes maximum OD in 20 inch, 508 mm. Where usually is smaller than 16 inch, 406.4 mm, because of the equipment limits. And if client would like to purchase the seamless steel pipe more than above sizes, then hot expanding machining shall be used. 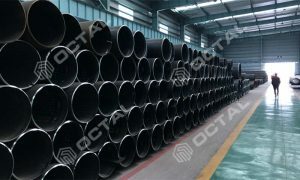 But usually this kind hot expanded seamless steel pipe quality could not compare with the original seamless steel pipe. 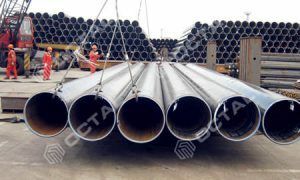 On the contrary, welded steel pipe don’t have these limitations, sizes available from 1-1/2 inch 48.3mm to 100 inch 2540 mm. 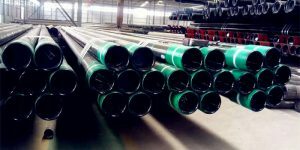 Usually the seamless steel pipe cost is higher than welded steel pipes, because the raw material, manufacturing equipment and processes. But sometimes by the market pressure, welded pipe is more expensive, so if you met this situation, don’t hesitate to purchase the seamless steel pipe for the same dimensions.